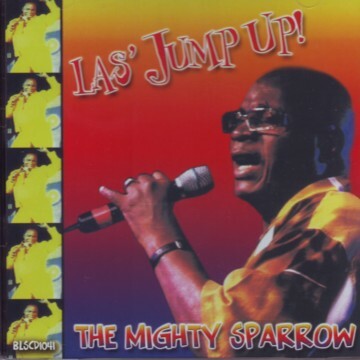 LAS JUMP UP by the MIGHTY SPARROW is really A LAS LAP JUMP UP FOR CARNIVAL 2007. So Back off yu shirt and get ready to party with this CD from the Calypso King of the World. The first song on the album includes a verse attributed to the late CARLOS LEZAMA, past President of the West Indian American Day Association, promoters of "LABOR DAY MAS IN BROOKLYN". Another tune, the "las lap Medley" is one of the hot tracks and includes "Amba Kai La", "Sly Mongoose", "Fire Fire", "Yu bucket have a hole","My Pussin" and other Classic Carnival hits.